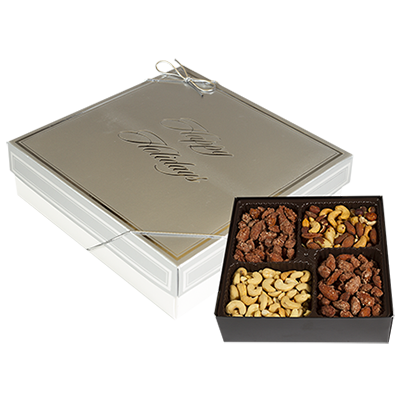 Cinnamon glazed almonds, roasted and salted cashews, and premium mixed nuts, 26 oz. in a silver box top with silver embossed Happy Holidays. All gift boxes are roasted fresh and sealed in the box for maximum freshness.